At the end of a winding dirt road near the village of White Earth is a small farm, a few acres cleared in the woods. 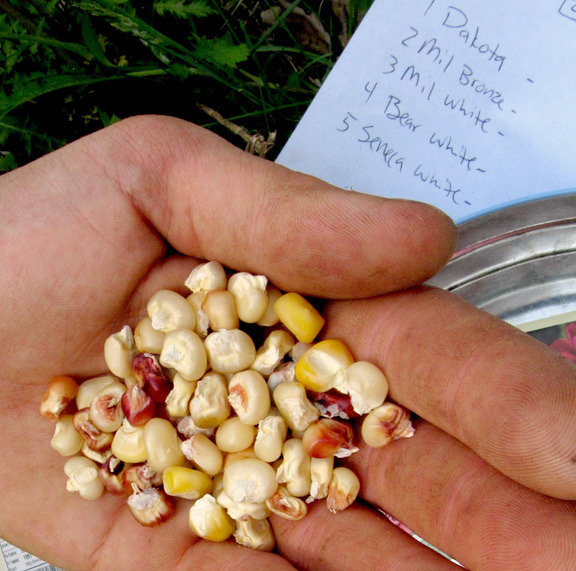 Home to the White Earth Land Recovery Project, the farm (located on the White Earth Reservation in Minnesota) aims to bring back traditional crops of corn, beans and squash by collecting seeds, some hundreds of years old. 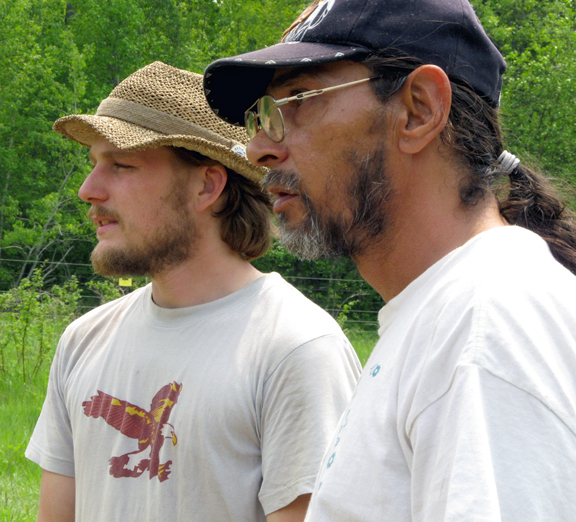 The goal is to expand the seed stock so reservation residents can grow their own food. Inside a small garden plot protected from wildlife by a tall wire fence, are unique plants with names that provide a glimpse into their heritage. "This is our three sisters garden where we are planting corn, squash and beans," farm manager Andrew Hayner said. "We have the Arikara squash, with the white corn and we’re putting the Hidatsa shield bean which is going to crawl up the corn." This year Hayner planted six squash seeds found in an archeological dig in Wisconsin. The seeds had been buried in a small clay pot for about 800 years. Tests showed enough seeds would germinate to make them worth planting. Hayner carries a metal pan with an assortment of ziploc bags, glass jars and folded pieces of paper. They all contain seed varieties given to the Land Recovery Project by people across the country. "Some of them were down to just a handful of seeds, and they come along with a story," he said. "Hopefully we can establish those seed stock again. And we’re going to try and figure out which ones grow best here. So it’s kind of an experiment." The seeds are grown in a regular garden plot with no pampering or special treatment. After all, in this area, successful plants need to thrive on their own. The plants include bear Island flint, a diverse corn of blue, yellow red and pink that is named for an island on the Red Lake Reservation where the corn was grown for generations. It’s proven to be a very dependable crop, and it makes good hominy, a traditional staple of the American Indian diet, Hayner said. There’s also a Manitoba white flint, corn grown by Ojibwe Indians for generations in northern Canada. It’s a favorite with elders at White Earth who like cooking with it. Getting community members involved is what this project is all about. Hayner said the ultimate goal is to have people eating home grown food. Pat Wichern, the project’s sustainable communities coordinator, helps make that happen. 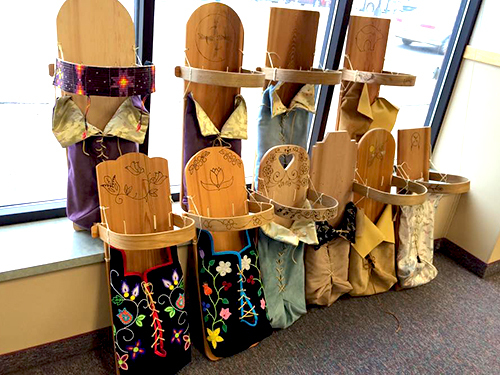 It’s a slow process to rebuild seed stocks, said Wichern, a tribal member who has coordinated community programs for 15 years. 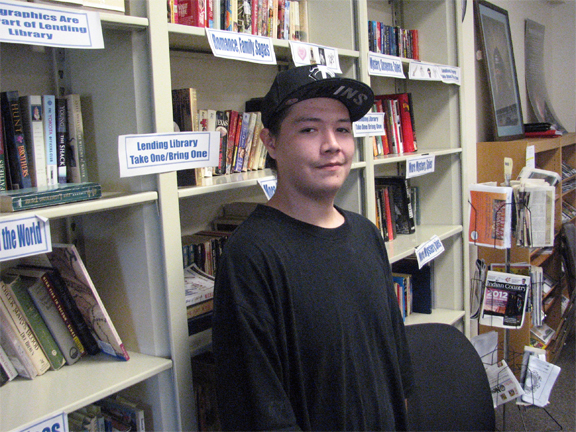 He said the White Earth Reservation is a good place to grow the old seeds. "We’re in a good spot," he said. "There ain’t nobody growing corn around here, so it ain’t going to hybrid. That way we keep our strains pure." Wichern said each variety of corn is carefully isolated from others to preserve it’s genetic integrity. "We try to spread ’em out in different areas, like we might give one guy three acres of pink lady and the other guy will get three acres of Manitoba white flint," he said. "That way we can keep our varieties going. We don’t have the facilities to do it all ourselves and we don’t want it all in one area. So we have the local people do it for us." About 50 people, from tribal members to nearby Amish farmers, are growing small plots of corn this year. Wichern said more tribal members are starting to use the seeds to grow their own food. "I think right now we’re getting more and more people interested in growing their own food. And it’s a lot healthier than the stuff you buy in the store. People are becoming more and more aware of that every day and with the price of everything now a lot of people are going back to gardening. And they remember, like, my grandma used to grow this! They ask for specific ones." The Land Recovery Project provides seeds free, all they ask in return is a handful of seeds back from the fall harvest. Pat Wichern envisions a day when tribal members will grow enough corn, beans and squash to sell some of the produce. The Land Recovery Project also plans to establish a seed library to maintain a long term supply of seeds. They plan to store them the way seeds were traditionally kept, in small clay pots buried in the ground.